The first week of the 2018 legislative session is over, and the fight for Constitutional Carry legislation is already heating up. We’ve prepared this video update for you. Please watch it so you know where things stand, and are ready to take action next week! When you’re done, be sure to share this with your friends so they can be involved in our fight for the Second Amendment as well. And, if you’re not a member or haven’t renewed yet for 2018, you may do that right here. P.S. 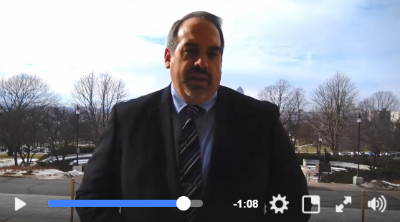 We’ve prepared a video update for you on the events of the first week of the 2018 session and our fight for Constitutional Carry. Please watch it, share with your friends, and prepare for action next week! If you’re not yet a member, or need to renew your membership, you may do that here.